A full-force job search requires time, effort and a considerable amount of maneuvering when you currently work full time. You may have to take a sick day, or a phone call during lunch. You may even have to get crafty to account for your sudden absenteeism at your current job. Then, there’s the interview suit situation: Next you’re finding yourself changing in your car or a gas station to return to the office in casual mode. There is another option you probably haven’t considered: Tell your boss. If your boss has been transparent and informed you within a few months your position is being offshored or downsized, feel free to be open in return. You can say something like, “Since it doesn’t sound like I have a future here, I’m going to start looking externally and actively interviewing. May I include you as a reference?” In many instances, your boss will unequivocally say yes and offer to help you. Feel free to be specific in your requests. “I’m looking to get my foot in the door at this specific company. Do you happen to know anyone who works there?” you might ask. So, if those three-hour networking lunches look like they will pay off more than sitting in front of your computer cranking out weekly spreadsheets will, go for them. But bear in mind you do want to get a decent referral and you don’t want to make enemies out of your managers who still need your help, so don’t stray too far from your current responsibilities. 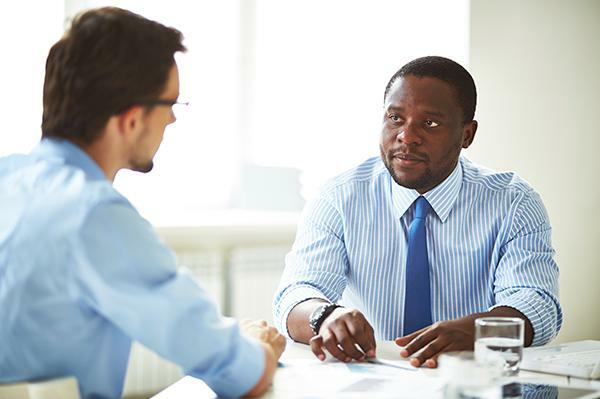 Say you have an honest discussion during a performance review or separate meeting with your boss in which you learn that it would be impossible for you to be promoted. Whether due to faltering revenues or a pending merger, sometimes it’s just out of your hands. Instead of making your boss or the flat organization part of the problem, make them part of the solution. Ask your manager to see the situation from your perspective. Say something like, “Since it looks like the writing is on the wall, if you were in my shoes knowing my fate here, what would your next course of action be? Should I immediately start pounding the pavement—is that what you would do right now?” While it may temporarily feel like you’re putting management in an awkward position, you’re enlisting their guidance to lead, encourage and support you. Their answer will likely sound something along the lines of, “Yes, in this situation—and you didn’t hear this from me—you may want to start looking externally.” This is a permission slip that grants you the go-ahead to look with their blessing. In either of the above instances, I encourage you to have these open conversations, but you’ll have to do so at your own risk. In an ideal world, your boss and colleagues will be on board and supportive of your need to move on, but everyone’s situation and workplace culture is different. Assess your own situation to see when it makes sense to be forthcoming about your plans, and how best to enlist your superior and colleagues’ help in the process.